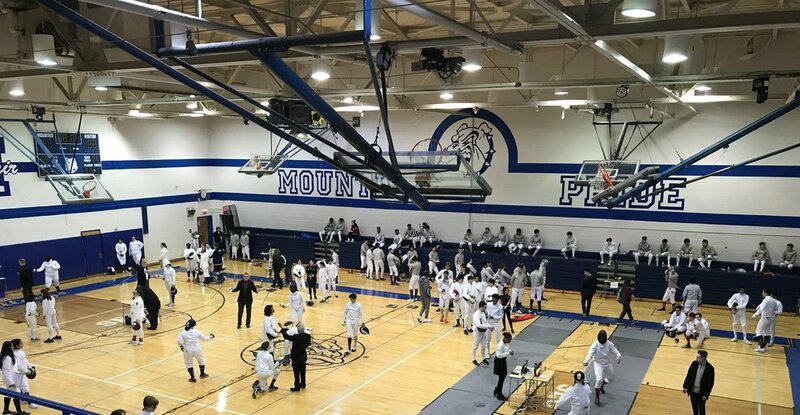 Montclair High School has one of the best high school fencing programs in the state of New Jersey. Over the past few years, our teams have gone on to compete in district and state championship tournaments, and our individual fencers and squads have won both district and state titles. Many of our fencers have gone on to fence at elite college programs and have competed on the national and international level. Fencing is a winter sport—the season runs from December through late February/early March. MHS has both a boys’ and a girls’ fencing team. They train together but compete independently. Practice begins the first Monday after Thanksgiving. The entire team practices Mon. -Thurs., 6:30 pm – 8:30 pm in the Boys’-Girls’ Gym of the George Inness Annex. The team is coached by Ed Chang with Michael Bindas, Ya Lu, and Shakil Uddin. All fencing equipment is provided by the team through the on-going efforts of the MHS Fencing Booster Club and Montclair High School. No fees are required to join the team.